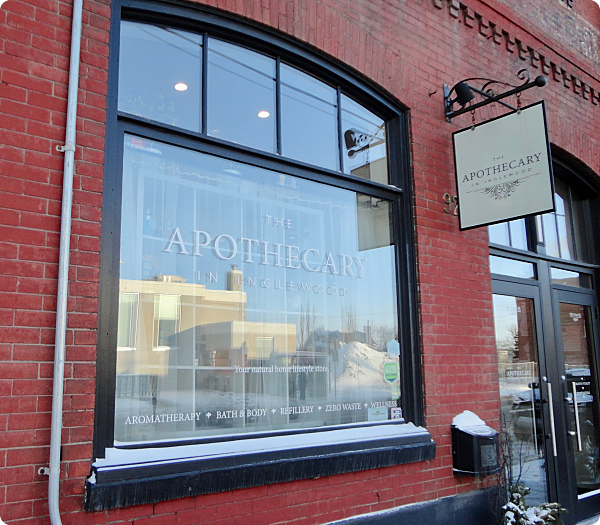 The Apothecary is a gorgeous eco shop featuring zero waste, refillable products, with beautiful containers, reusable straws, and earth-friendly cosmetics. The Apothecary sells a line called Chic Puppy, comprised of products like dog shampoo, paw balm and bed spray. Anise, birch and clove organic essential oils are offered in a three-pack for pooches training in nose work. They warmly welcomed big hairy J and all four of his drippy wet paws. They even offer a course on canine aromatherapy.